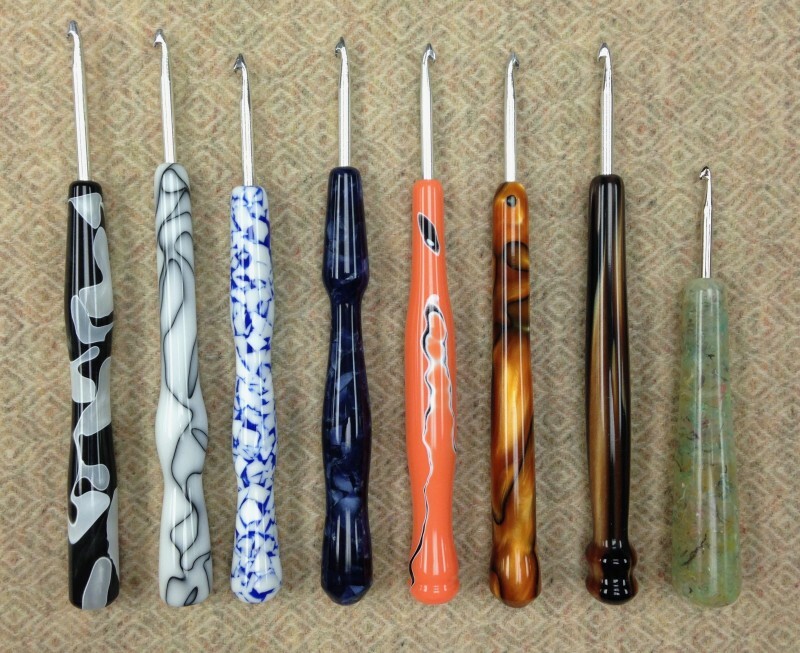 These beautiful acrylic pencil hooks are hand-shaped and one-of-a-kind. The hooks are custom fashioned into a large tip suitable for #6 and #8 cuts. Add a little fun to your hooking with the gorgeous depth and colors of these hooks! Handles are approximately 4.5″ to 5″ long. Currently in stock (left to right): Celery Confetti, Melon, Scribbles. These hooks are made exclusively for Spruce Ridge Studios.